My house is clean, my fridge is stocked with all my favourite foods, I stepped outside of my comfort zone today and feel really awesome about it and everything in life just seems to be aligning nicely! I've put together a list of 10 things I'm currently loving. I know a few other bloggers that do these type of posts and I always love seeing what they are into. Hopefully you guys enjoy this post the same way I do! 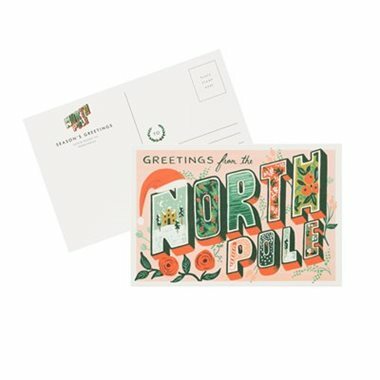 These Christmas Postcards by Rifle Paper Co. This Couragecast with Tania Kolesnik is a must listen. I'm currently reading and loving this book. Obviously need to purchase this record. I'm buying this game for everyone I know this Christmas. This toy is on every kids Christmas list this year. Like most of the world, I am obsessed with this girl. Currently binge watching this show on Netflix. Also really loved this show. Can't wait for a second season. This market opens up real soon an am really excited about it!